Not too long after I started my blog, I decided to offer opt-in freebies for my readers so I could start building my email list. I’ve heard so many times out there an email list is extremely important for your blog. Well, because besides your website — your email list is the only thing you truly own. All those followers on Instagram and Twitter? Yep, they could shut your accounts down any second and you would lose everything. Email lists are literally the best way to connect with your audience and they more often than not, convert to buyers of your products in the future. So I hopped on over to MailerLite and signed up for their free plan (up to 1,000 email subscribers) so I could create an email list and start sending out newsletters to my readers asap. I created free downloads to go along with my list. If I created a blog post, I would offer a free ebook or checklist to go along with it and readers would have to subscribe to my email list to access it the extra content. There’s a couple of different ways you could deliver these freebies. You could deliver them straight to the subscriber’s email or you could create a free resource library. I went with the option of creating a library because it was so much easier and more organized! What is a free resource library? A resource library is essentially a page on your blog where you list ALL of your opt-in freebies in one spot. How awesome is that?! Instead of having to deliver specific files to certain readers that opt-in, you just send them over to your library of goodies. It’s a great way to offer content upgrades and your readers don’t need to be signing up for multiple downloads that they’re interested in. The goal of a resource library is to provide extra value to your readers that they wouldn’t normally get just reading your blog. They’re super helpful and there are so many things you can offer in them. Like step-by-step tutorials, videos, printables, ebooks, checklists, calendars and so much more! Make sure that your freebies are relevant and tailored to what your target audience is. If you’re a beauty blogger, you could offer beauty quizzes or an ultimate list of your favorite makeup products. And if you’re a fashion blogger, you could offer a gift shopping guide or a vacation packing list. Whatever your niche is, the ideas are endless. You want to offer something your audience cannot resist and something that is valuable enough for them to cough over their beloved email address. Once you know what you want to offer, it’s time to showcase it beautifully in a freebie library! So how do you actually create a resource library? Great question! On self-hosted WordPress, you can easily create a free resource library totally in a DIY kind of way. You’ll want it to be password protected so that only your email subscribers will have access to it. and duhhh.. the actual resources you’ll be providing! I set up my welcome emails on my email service provider to include the password to my library so that way when subscribers sign up they instantly receive the password straight to their email so they can start using it! Now to create the actual page of the library, you will head over to WordPress and create a page as you normally would. You can make the page password protected by looking in the right-hand side of your screen in the section where it says “Publish.” In this area, you’ll see an option for Visibility where you can click “edit.” Once you’re there, select “password protected.” Then, it will ask you to choose a password for your library. Start off with a title and introduction to your library & let readers know what they can expect to find in it. In my free resource library, I also include the password again in case it gets lost on their email. You can also include it in every newsletter you send out so they don’t forget. Then, I include a list of all my opt-in freebies and content upgrades with a link to each one. If you want an even more beautiful and professional looking free resource library sign up page, you’ll want to create a landing page. I highly recommend using Bluchic’s Landing Page Templates for this. You can create a beautiful landing page with more details about your Resource Library with the Bluchic templates. Bluchic’s landing pages totally changed the game for me. I’m not a pro at web design so I did experiment a bit in the very beginning and tried to design my own page with no luck. My pages were okay… but nothing compared to the Bluchic Landing Page Templates. So I bit the bullet and purchased their bundle of 15 landing page templates for $109. And let me tell you, they have already paid for themselves. I highly recommend checking out Bluchic if you want easily customizable drag and drop templates to build pages with. You can use them for your Resource Library or for opt-ins, webinars, tripwires, sales pages, literally you name it. Otherwise, if you feel confident enough, I recommend messing around with WordPress or the free plugin Elementor and creating a page that highlights all the benefits of joining your library. Give them a REASON why they should want to join! Now you can just do text links or you could include images of each resource (or both!) Whatever you prefer, you’re the boss. 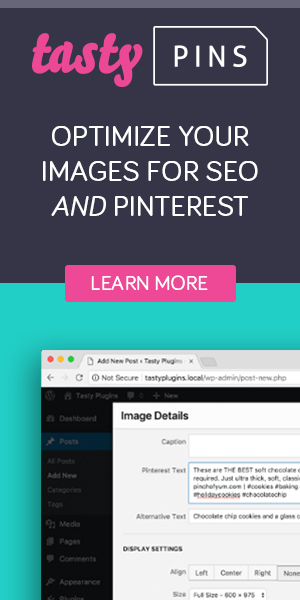 You can easily create beautiful images & mockups of them on Canva too. I like to use bitly to shorten my links and so that I can monitor the clicks on each freebie. That way I know which freebies are successful and which ones are a miss. After that, every time you make a blog post with a content upgrade you can simply just add the opt-in box. Or you could simply add a link to the signup form so that people can subscribe & access the free resource library. Once everything is all set up and looks good, your library is ready to be published for the world (well, your subscribers) to see! It’s super simple and you can just easily go in and update it with new downloads in the future. It seriously helps build your email list and cultivate a community & audience around your blog! Great tip about using bitly to track clicks on each resource!! I’ve been trying to find a way to do that since I’ve got quite a few ideas for some new freebies and I want to know which ones work best. It’s awesome! I originally was just using bitly for shortening links, then I realized I could track clicks and see what type of resources are more successful than others so that I can create more content catered to what my readers want. So far it’s been working out great! I use bitly for other stuff. I never thought about that. It is a great idea. I don’t like Dropbox, not sure why. Maybe I should take a look into Google Drive. I have a Chromebook, any suggestions? I’ve been downloading my pdfs directly to my wordpress media library. I know that’s not good to do because it uses up my storage ALOT quicker but as said, i don’t like dropbox. Another fan of the bitly idea for tracking clicks! Thanks for this guide. I love your tips and your Resource Library is full of awesome ideas! I am currently struggling on this right now as I don’t know how to start in creating my opt in freebies. I’m working on it and this post is clear and easy to follow! Thanks Amanda. Great tips! Do have a post on what to send in an email sequence after once they gain access? Tips for someone with a few range of topics?